A zero-waste line of wood jewellery, belt buckles and more, made by hand in Nelson, BC. Robert Dudley, a woodworker by trade, uses left over cuts of wood from larger projects and turns them into beautiful, wearable art. Pieces of often unusual wood that might otherwise end up as kindling in a fire find new life as one-of-a-kind accessories. 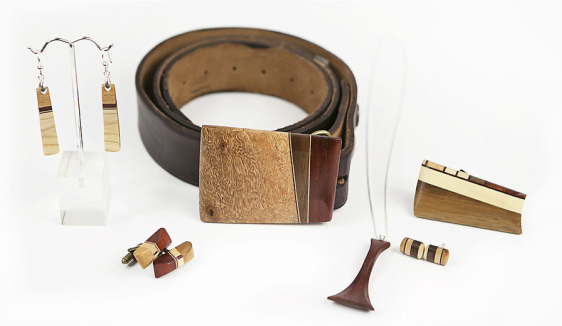 A table becomes a cutting board, the cutting board becomes a belt buckle, the buckle becomes a pendant.